Ciao from Happy Days Milwaukee! I have many English conversations with Italians through Skype and I’ve traveled to your fine country several times, but I never expect anyone from Italy to know my city, Milwaukee, Wisconsin, USA. Surprisingly, almost every Italian person I have ever met knows Milwaukee, not because it’s the home of Harley-Davidson motorcycles, or because it was once the world’s largest beer producer. It’s because of the television program, Happy Days. Happy Days was set in 1950’s Milwaukee, but memories of Happy Days still exist here today. For example, there was never an Arnold’s Drive-In restaurant but I will guess that Arnold’s was modeled after Leon’s Drive-In, a classic restaurant from the ‘50’s. With it’s eye-catching vintage neon signs, Leon’s is still popular and open for business. 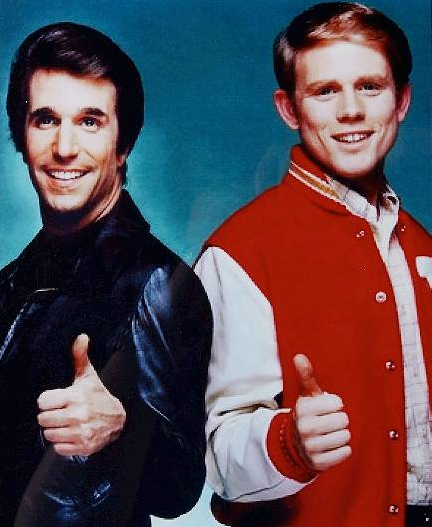 Richie Cunningham and his friend, Potsie, attended Jefferson High School but Nicolet High School is the real thing because they have the same school colors, light blue and white. I’m sure there were a lot of cool guys like Fonzi around in the 1950’s but we will always cherish Arthur “The Fonz” Fonzarelli. 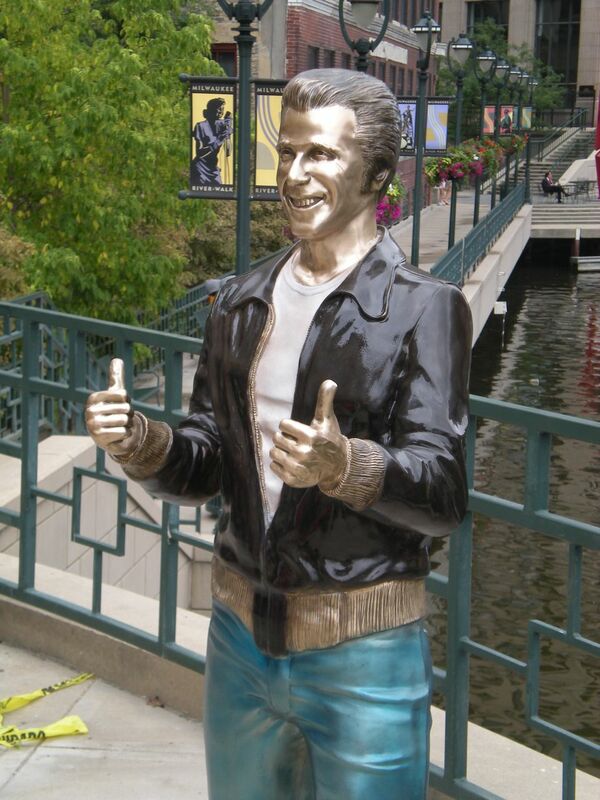 In fact, he’s a permanent fixture in Milwaukee...in bronze...and affectionately known as “The Bronze Fonz”. Now it’s automatic. When I ask an Italian citizen if they know Milwaukee, and they reply “No”, I immediately say, “Happy Days?”. They always respond, “Aaaah, yes! Happy Days!” Do you remember Happy Days?